More on the OFM X5S1860 X5 Sliding Storage System (Five 4-Shelf Units 18x60) below. 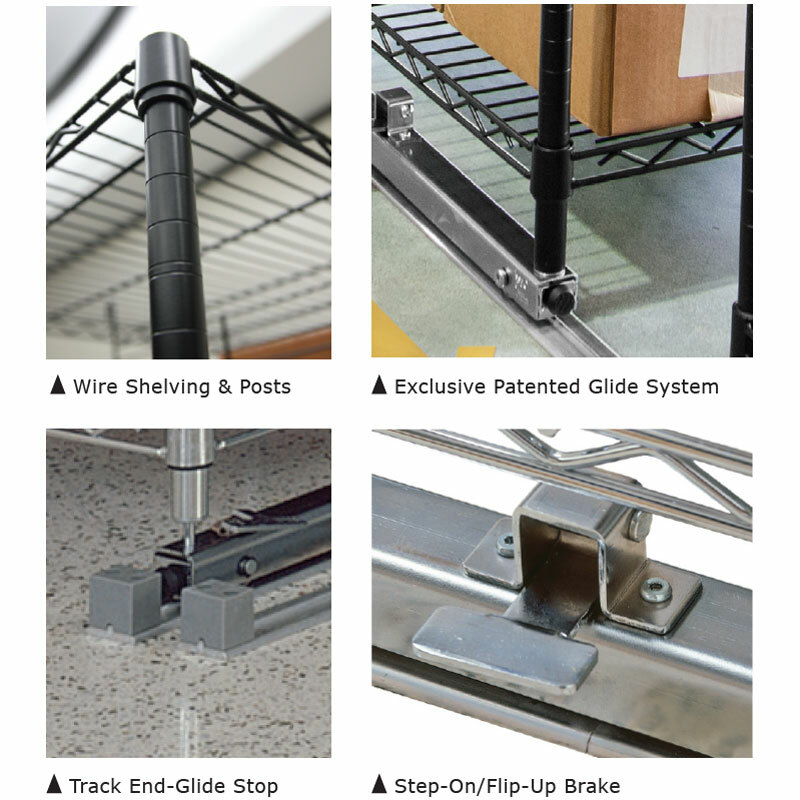 Each X5 system includes a set number of shelf units, one 4-piece set of SFRT100 End Tracks and one or more sets of SMT100 or SMT50 Middle Tracks. 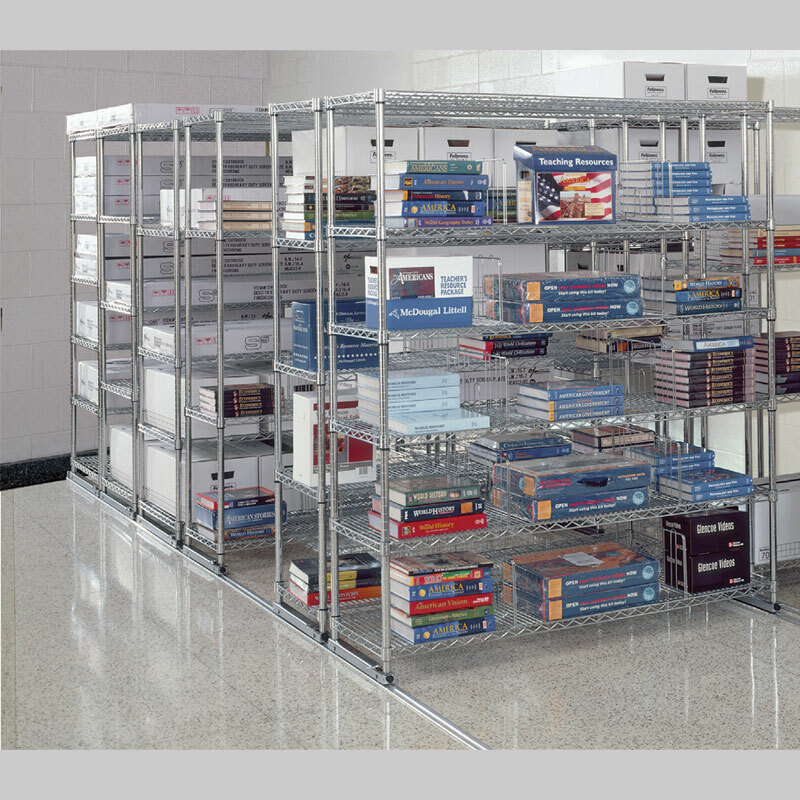 X5 systems are available in 3 pre-packaged configurations: "X5S" 5-unit kits (with tracking), "X5L Lite" 3, 4,5 or 6-unit systems (with tracking) and "X5R" individual 4-shelf units (without tracking). 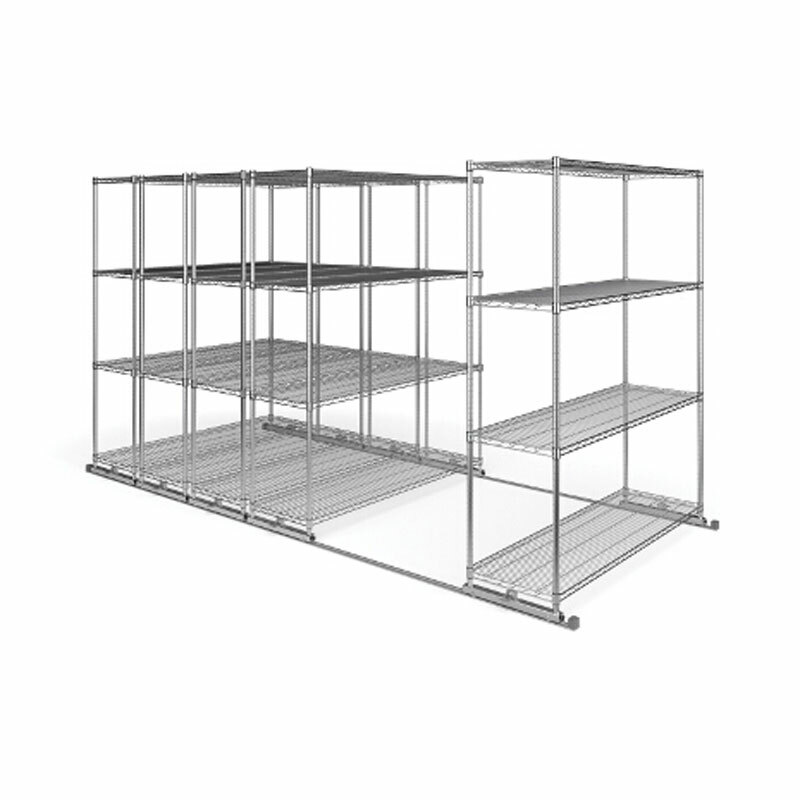 Twenty upright, steel posts, creating five 4-shelf storage units. Twenty wire shelves (available in 8 different sizes). Sufficient track length for all 5 units. Ball-bearing rollers for effortless motion. An entirely modular design (tracks are not bolted to the floor). One "step on/step off" safety brake with each roller assembly, allowing the user to lock units in place while loading and retrieving contents. Not recommended for use on carpeted flooring.